The 61st annual Grammy awards are set to air on Sunday, February 10, 2019. Every year, the Grammy Awards offer a dazzling award ceremony and spectacular performances from the biggest names in the music industry. The ceremony is moving back to Los Angeles’ Staples Center from last year’s New York’s Madison Square Garden. How to Watch Grammy’s Live Online? As the 61st annual Grammy Awards are going to go live on CBS, you’ll be able to stream the entire ceremony, and certain pre-show coverage, on CBS All Access website, and the CBS All Access application. The CBS All Access website works well with most devices and web browsers, and the CBS All Access application is available for Windows, Android, iOS, Apple TV, Google Chromecast, Fire TV, PS4, Amazon Fire, Roku, and Xbox. The CBS All Access service is available in United States, Canada and Australia Only. Unfortunately, Grammy awards streaming will not be available outside these 3 countries. But, don’t worry, we have the solution. The first step is to get PureVPN. You can avail 70% discount on our Annual plan to not only enjoy Grammy Awards, but upcoming Oscars, BAFTA, Emmy and all other awards ceremonies. With PureVPN, you can conveniently stream the Grammy’s along with thousands of other streaming services that are subject to geo-restrictions. The second step is to download PureVPN app or setup on your device. PureVPN supports 20+ devices that includes PC, Mobile Phones, Tablets, Routers, Smart TVs, KODI, ROKU, PS/XBox etc. We have all the setup guides and help material on Support Center. Open the app and connect to either US, Canada or Australia country server, as the live stream of Grammy awards will be available in these 3 regions. Access the CBS All Access website on a new browser and start streaming the Grammys live online. Note: CBS has a 1-week free trial, so if you are new, or only want to watch the Grammys, you can avail the free trial period. Just sign up, enter your billing information, enjoy the show for free and cancel it before the trial ends. Who Will Be Hosting The Grammy’s? 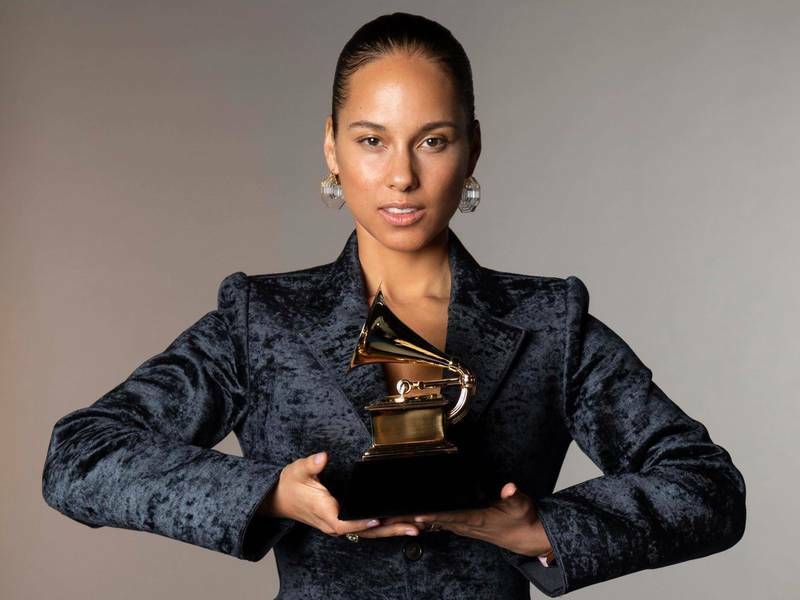 15-time Grammy Award winner Alicia Keys will make her hosting debut. This is the first time that Keys — who became famous in the early 2000s for soulful R&B hits like “Fallin’” — will host a primetime awards show. CBS All Access is a video on demand streaming service owned by CBS. CBS All Access live stream is available across the United States, Canada and Australia. In addition to the live CBS stream, the streaming service also provides on-demand access to a massive library of CBS shows. CBS has extended its international footprint by introducing CBS All Access which is inexpensive and is available in the United States, Canada, and Australia. Select your plan and click Continue. Enter your billing information and click Sign Up. On the day of the Grammy Awards, return to cbs.com/all-access to watch the show. CBS All Access is a premium live television streaming service that cannot be accessed without a subscription. You don’t need to have a cable or satellite television subscription, but you do need to sign up for the CBS All Access service itself. CBS has given rights to streaming services like DirecTV Now, Hulu and YouTube TV where you can watch the Grammy awards online in specific geographic regions mainly USA. All these services are paid and provide many channels in their panel. How to watch Grammy’s on Apple TV? Head over to Safari browser and enter the websites URL. Login and you’re good to go. Download the CBS app on Apple TV. Open the app and start streaming. Don’t forget to connect to PureVPN on your Apple TV when outside the US to stream CBS. Learn how to setup PureVPN on an Apple TV. How to Stream Grammy Live on PS4? Head over to the PlayStation App Store and download the CBS All Access application. Once the application is installed, login or sign up for the streaming service. Once signed in, stream Grammy’s and other shows. Don’t forget to connect to PureVPN on your PS4 when outside the US to stream CBS. Learn how to setup PureVPN on a PS4. PureVPN – Streamers Best Bet! PureVPN is well appreciated in the streaming community for its exceptional streaming speed. Typically, VPN services have a reputation of slowing down the internet connection; however, PureVPN offers self-optimized VPN servers which deliver remarkable streaming speeds no matter where you are. With PureVPN, you get past ISP throttling, region blockades, location-blocks, and bandwidth restriction. Additionally, you can connect to 2,000+ self-optimized servers positioned in 180+ locations around the world. Millions of viewers from around the globe will be using industry’s best tool, VPN, to bypass geo-restrictions. With the major streaming audience being the generation X who travel around the world for education and leisure, streaming the Grammy’s can be a nuisance without a VPN service. As an individual who eagerly wants their favorite artist to take home the Grammy’s, I can relate how frustrating it might be just knowing you’ll be unable to stream the Grammy’s and watch your favorite artist on the stage. Fortunately, millions of people are already resorting to a VPN service to bypass geo-restrictions. Once connected to PureVPN, you can stream Grammy’s live whether you’re in Europe, South Africa or in a cruise! You’ll get to bypass regional blockades and gain access to any restricted content as long as you’ve got a working internet connection.